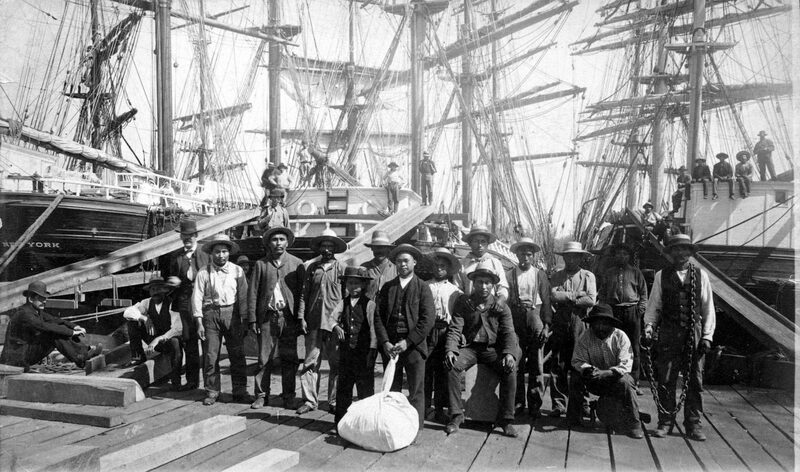 Indigenous lumber handlers, along with some Chileans and Hawaiians, gather near the Moodyville Sawmill on the north shore of Burrard Inlet in 1889. The man with the laundry bag is William Nahanee; he worked many years on the docks, serving as president of the groundbreaking Bows and Arrows union local formed in 1906. Fifth from the left is Joe Capilano, later a prominent chief of the Squamish. Charles S. Bailey photo, City of Vancouver Archives, Mi P2. 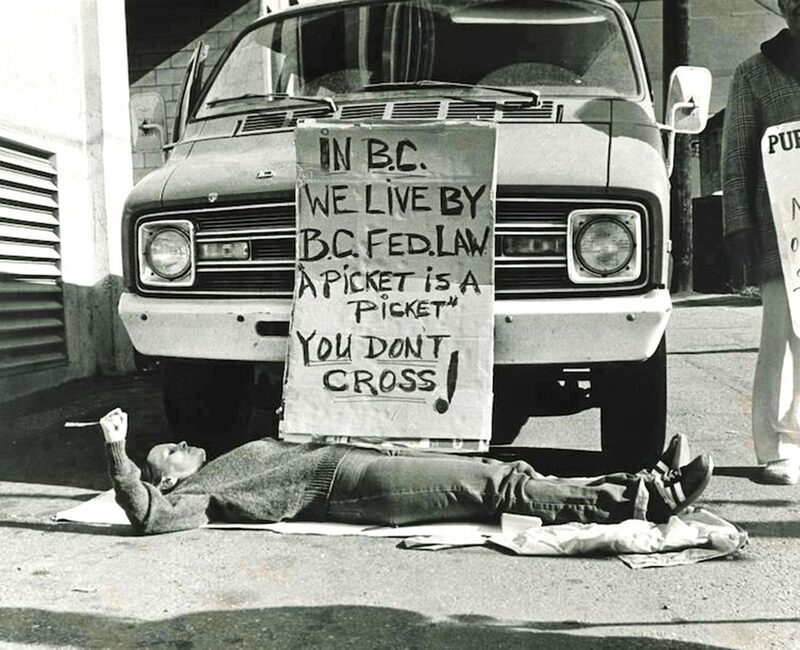 The favourite photo of former BC Federation of Labour President Jim Kinnaird, taken in Vancouver on October 1, 1980, day three of a strike by federal government workers belonging to the Public Service Alliance of Canada. In BC a picket line is a picket line. You don’t cross. Dan Scott photo, Vancouver Sun. The infectious fighting spirit of the Operation Solidarity rally at Empire Stadium, on a beautiful August day, buoyed the whole movement in its determination to force the repeal of all twenty-six bills, which included the right to fire workers without cause, the right to evict tenants without notice and an end to the Human Rights Commission. Dan Keeton photo, Image MSC160-869-17, Pacific Tribune Photo Collection, Simon Fraser University Library. Plant workers begin strike action at the Canadian Fishing Company in 1975. Sean Griffin photo, image MSC160-155-14A, Pacific Tribune Photo Collection, courtesy Simon Fraser University Library. 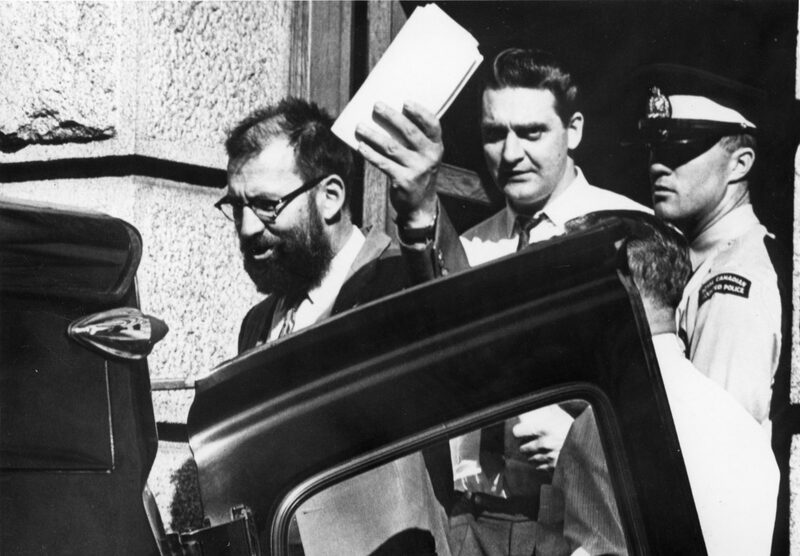 Fishermen’s union president Homer Stevens gives a wave as he heads off to jail to serve a one-year sentence for contempt of court in connection with the Prince Rupert Trawler strike in 1967. Behind him is union business agent Jack Nichol, acquitted on a technicality, who went on to lead the union for sixteen years after Stevens retired in 1977. UBC Rare Books and Special Collections, BC1532-10-1. 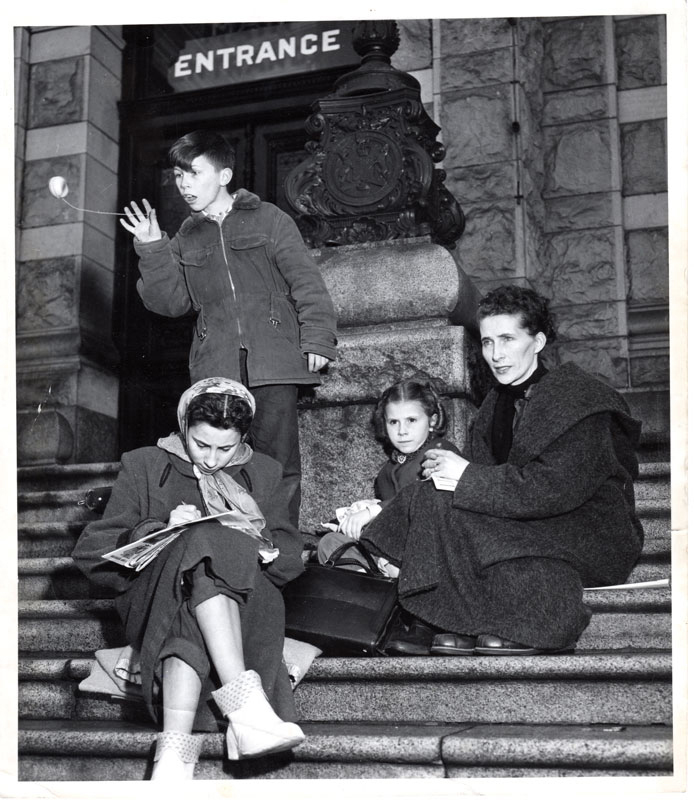 In 1956, the indomitable Bea Zucco camped out with her children on the steps of the legislature in a heartfelt effort to secure a pension from an unyielding Workmen’s Compensation Board for her dying husband, who was stricken with silicosis. Her campaign became news across Canada, but only after her husband died were regulations changed to give ailing miners a better deal. Bill Halkett photo, Victoria Daily Times. 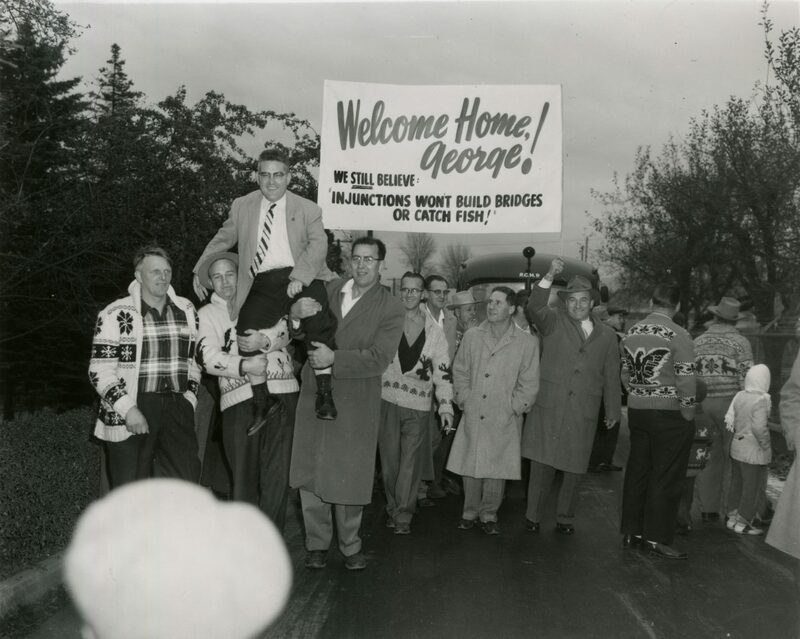 George North, editor of the union newspaper The Fisherman, is welcomed home in 1959 after spending thirty days in Oakalla prison. The sentence was imposed by a judge who found him guilty of contempt of court for a defiant editorial declaring that court injunctions will not build bridges or catch fish. Ralph Bower photo, UBC Rare Books and Special Collections, BC-1532-2-1. The sisterhood at the canteen. 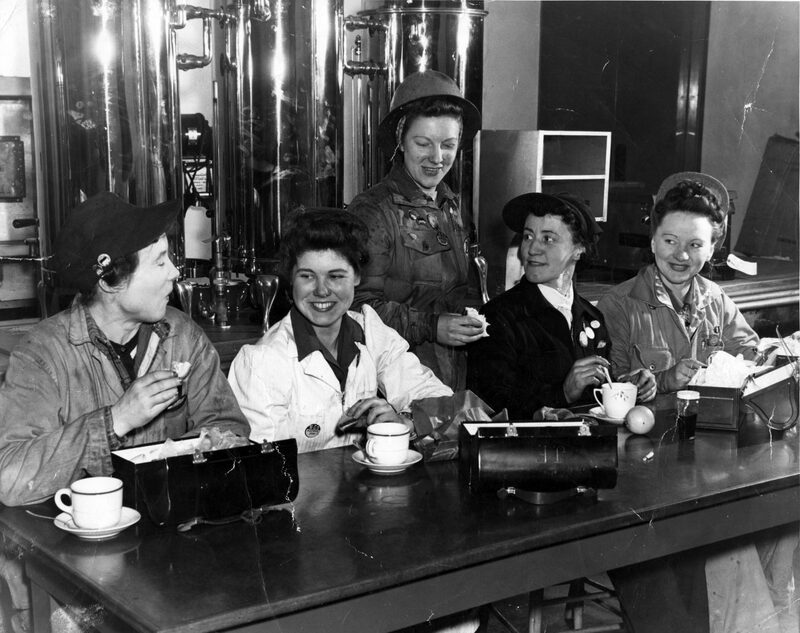 Five shop stewards with the Marine Workers and Boilermarkers Union share a happy moment during lunch at Burrard Dry Dock, 1942. North Vancouver Museum and Archives, 8073. 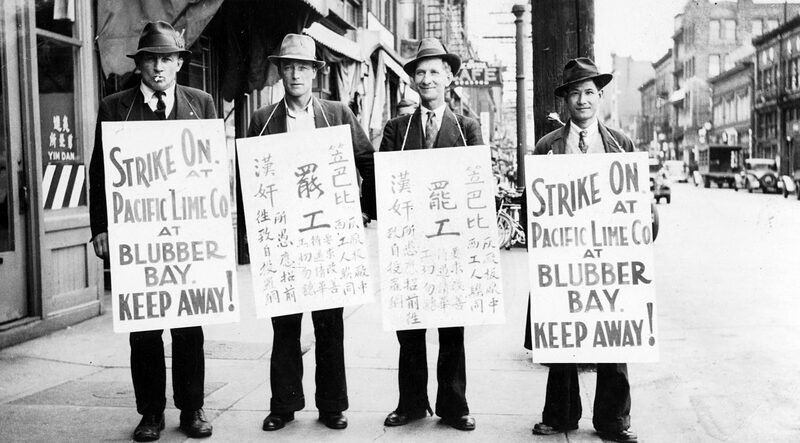 English and Chinese-language signs warning strikebreakers to stay away attest to the solidarity between white and Chinese workers during their determined strike at Blubber Bay on Texada Island in 1938. Kaatza Station Museum & Archives, IWA Local 1-80/Wilmer Gold Photo Collection. 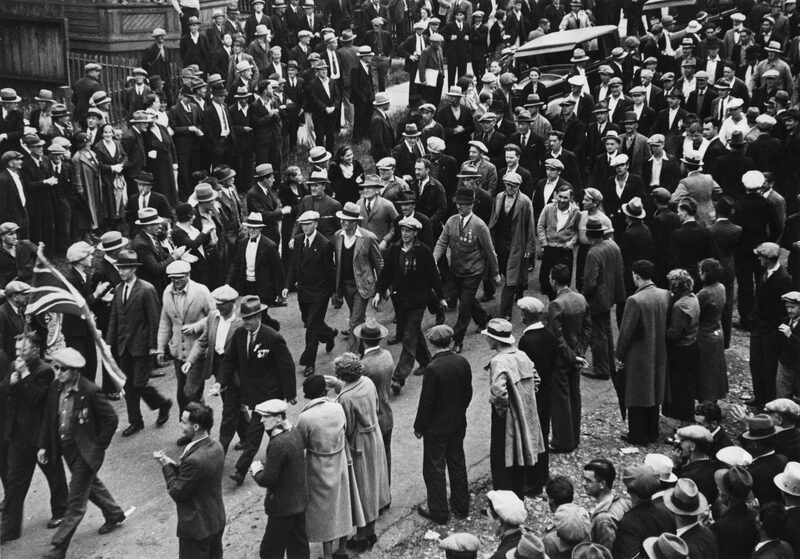 Striking longshoremen march to the waterfront on June 18, 1935, determined to roust strikebreakers from the docks. Medalled WWI veterans were at the front, headed by Victoria Cross winner Mickey O’Rourke (bottom left), carrying a Union Jack flag. The Battle of Ballantyne Pier erupted shortly afterward, when mounted police with truncheons turned them back. City of Vancouver Archives, 417-1. The On-To-Ottawa Trek was a defining event of the bleak ten lost years of the Depression. 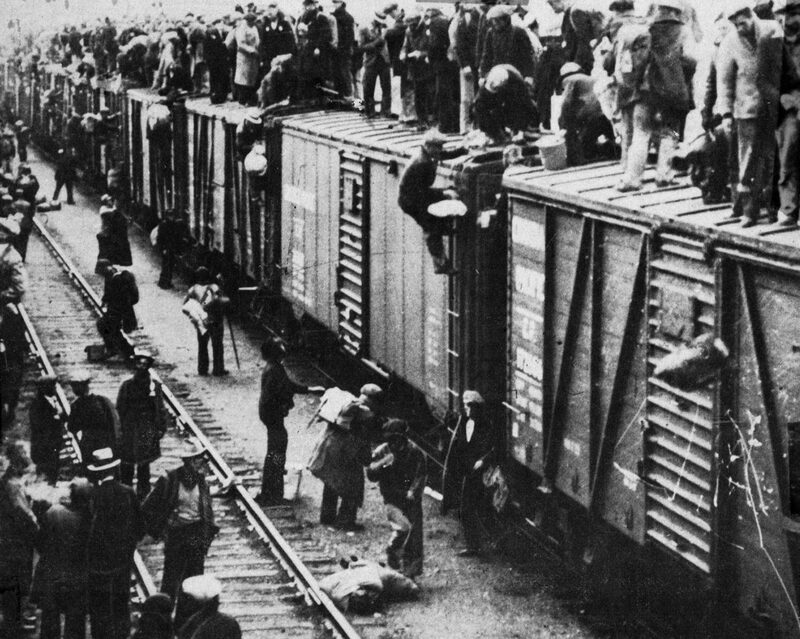 Hundreds of single unemployed men clambered up boxcars in early June 1935, intending to ride the rails all the way from Vancouver to Ottawa, with stops in between, to confront Prime Minister R.B. Bennett with their demand for work and wages. By the time they reached Regina, an estimated 1,800 unemployed had joined the trek. Canadian National Railway Fonds, Library and Archives Canada, C-024840. After the mass arrests of striking Vancouver Island coal miners, an outpouring of support came from the BC labour movement, particularly in Vancouver. 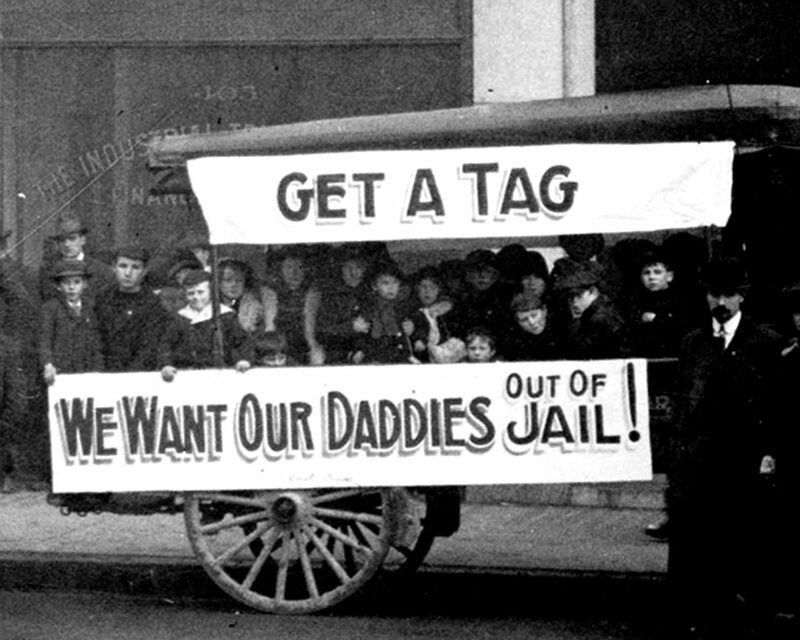 This fundraising tag day outside the city’s Labor Temple on Dec. 20, 1913, was organized by the hastily formed BC Miners’ Liberation League. City of Vancouver Archives, 259-1. 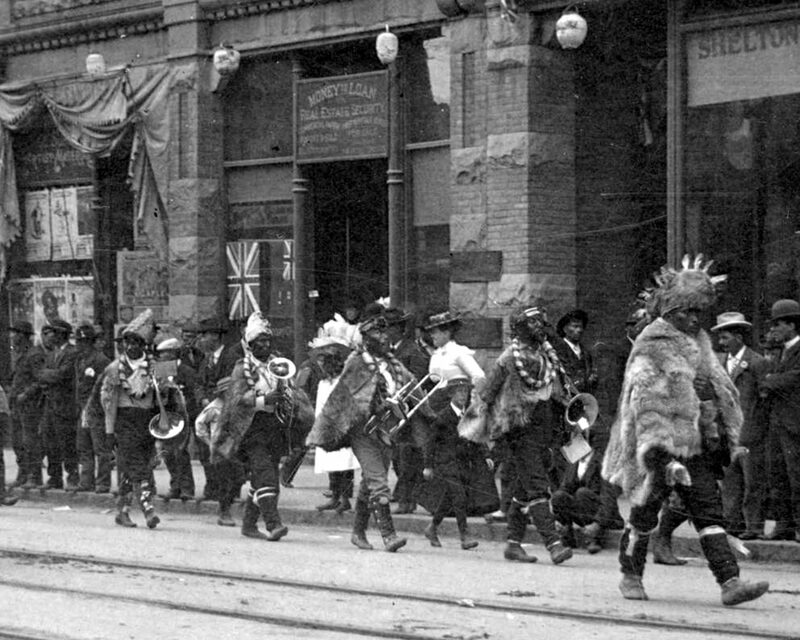 The celebrated Tsimshian brass band from Port Simpson marches along Hastings Street in Vancouver during a holiday parade in the city, likely Dominion Day. In mid-July 1901, the same band led a thousand-strong march in support of striking fishermen, whose ranks included many Indigenous members. A few days later, the band was in Nanaimo to help rally local union coal miners to the cause. John Tyson photo, City of Vancouver Archives, P120.1. 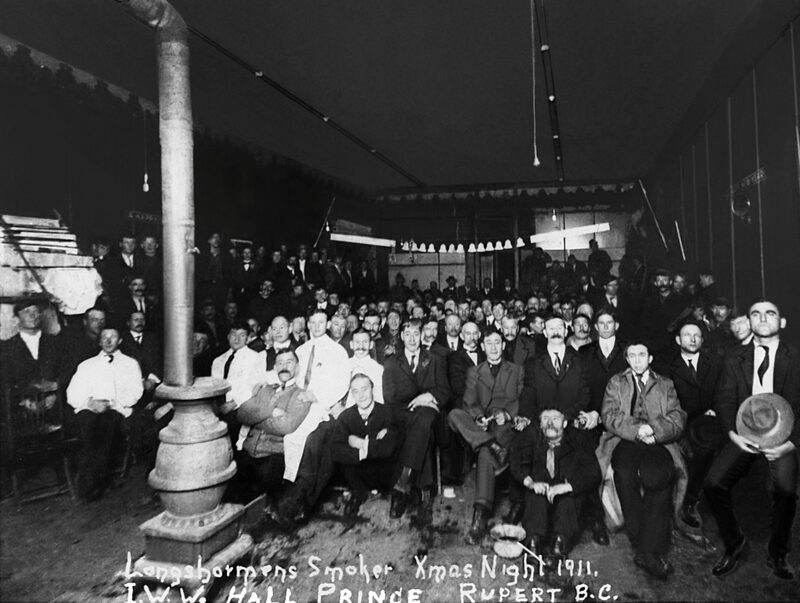 As much a social organization as a union, the Industrial Workers of the World hosted this smoker for Prince Rupert longshoremen at the IWW hall on Christmas night, 1911. Courtesy ILWU Local 505, Prince Rupert. 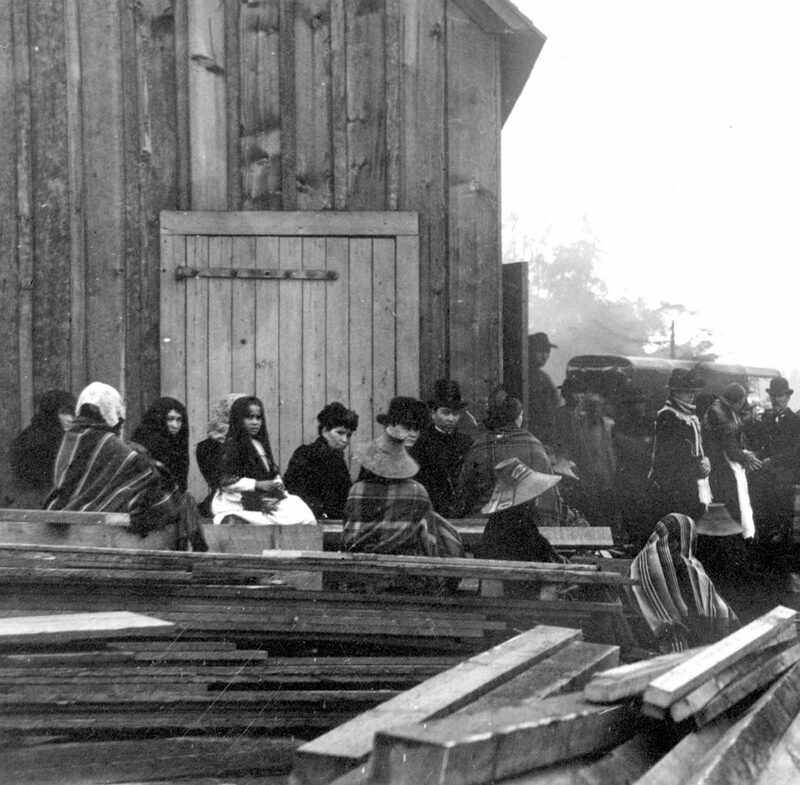 Crowds and families, including several Indigenous women, wait desperately for news after the lethal 1887 explosion at the Vancouver Coal Mining and Land Company’s Number One Esplanade mine in Nanaimo. The blast claimed 150 lives. Image C-03811, Royal BC Museum and Archives. 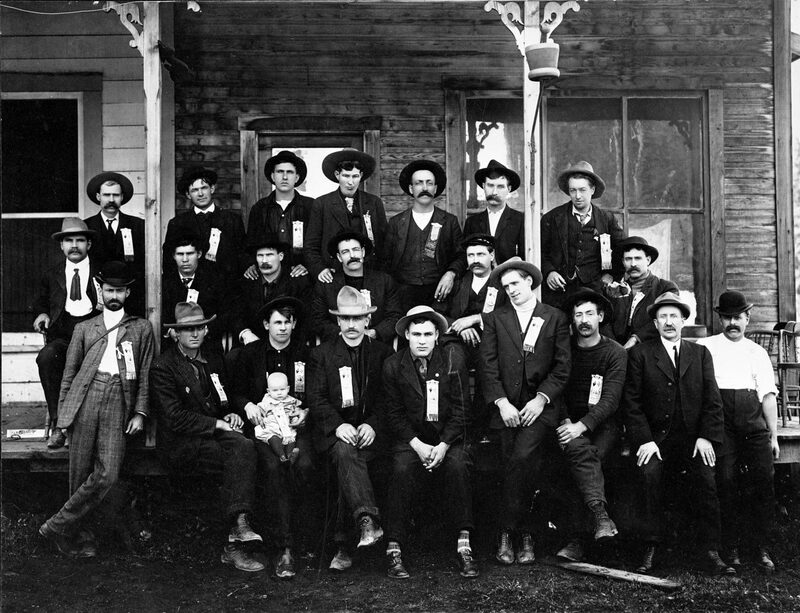 Members of Local 119 of the Western Federation of Miners take time out from their union meeting to pose for a group photograph, complete with baby, in April 1901, in the West Kootenays town of Ferguson. Vancouver Public Library, 100. The following introduction, as well as the above imagery and captions, is excerpted with permission from “On the Line: A History of the British Columbia Labour Movement” by Rod Mickleburgh and published by Harbour Publishing (April, 2018). With thanks to the BC Labour Heritage Centre Society. 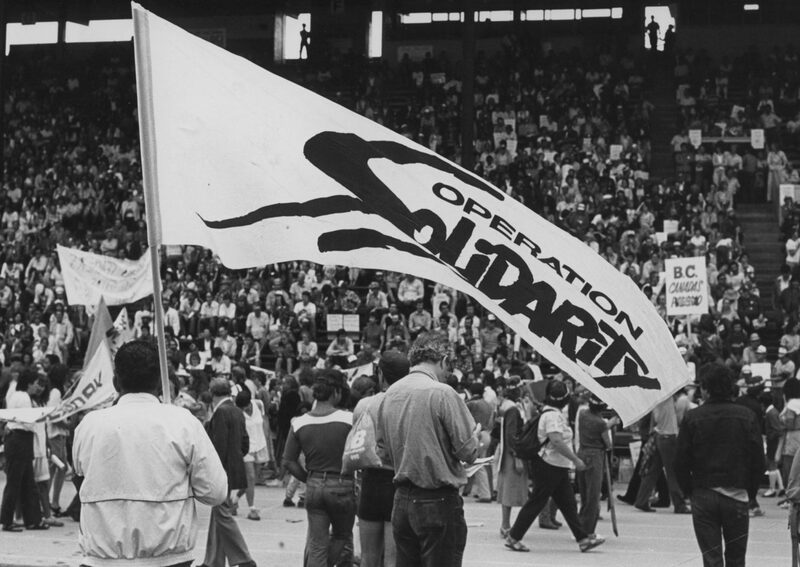 A militant labour movement has been part of British Columbia’s identity going back to earliest times. The region’s resource-based, frontier economy produced a toughened brand of worker, the result of onerous conditions, low pay and hard, hard work. Confrontations, when they took place, were often rough. For years the BC labour movement was the most combative in the land, full of radicals and talk of general strikes. There was rarely a time when the drive to increase profits at the expense of workers went unchallenged. As with most movements, the influence of unions has ebbed and flowed. 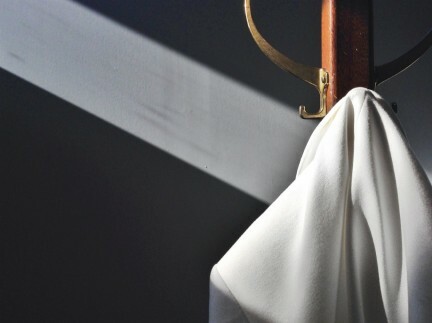 It has suffered painful divisions and enjoyed inspiring periods of solidarity. Unions have endured fierce, often violent opposition: firings, jailings, and red-baiting, not to mention intimidation by vigilantes, militias, cops, courts and hostile governments determined to keep them in their place. Some activists sacrificed their lives. 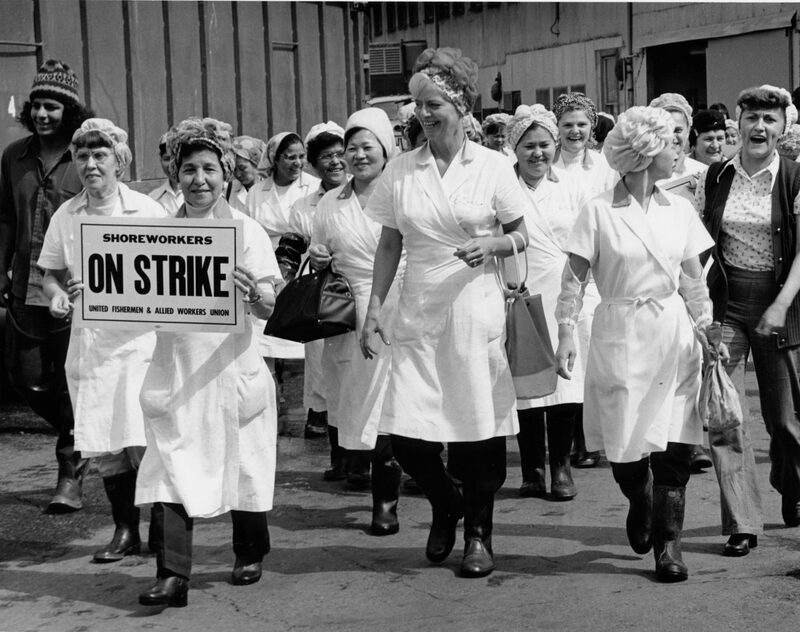 Yet against all odds, unions remain a vital force in today’s world. The scenes depicted in these pages are but snapshots—hopefully representative ones—from 150-plus years of working-class struggle in workplaces everywhere in BC. Collectively these examples represent a remarkable saga of workers and unions that stands with any in the province’s history. The figures who people these stories are among the heroes of British Columbia—not merely the trade union leaders, but the millions of workers, their names forgotten, who confronted those who would deny their right to take collective action in pursuit of better lives. 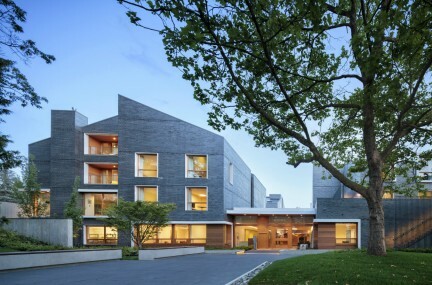 While we celebrate builders of industrial empires like Robert and James Dunsmuir—their name writ large on streets and in the province’s chronicles—those who dared challenge their single-minded pursuit of wealth at the expense of workers are remembered minimally, if at all. 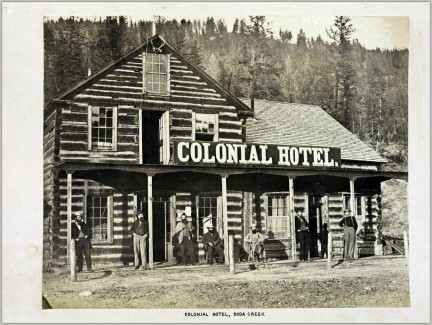 The practice of organizing to improve the workers’ lot started early in BC history. 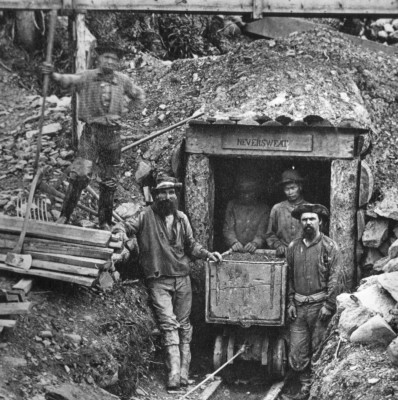 In 1850, eight years before the province of British Columbia was formed, Scots miners imported to work in the Hudson’s Bay Company coal mine at Fort Rupert went on strike to protest the employer’s violation of their contracts. It was a sign of things to come. More than sixty years later, several thousand coal miners spent two years on strike fighting just for the company to recognize their union. Only when they had spent their last penny did they finally surrender to the multiple forces arrayed against them. Despite many more early defeats, softened by a few satisfying victories, the BC labour movement kept on growing.